I must say I thoroughly enjoyed this book. I came across the book Living Well Spending Less on various occasions as I’d skim through my favorite blogs and never gave it any consideration. But when one of my favorite YouTubers, Katherine from Do It On a Dime shared her review, I just had to read it. And I’m glad I did. I learned a lot and found it to be quite enlightening. So here is MY review and what I thought about the book. 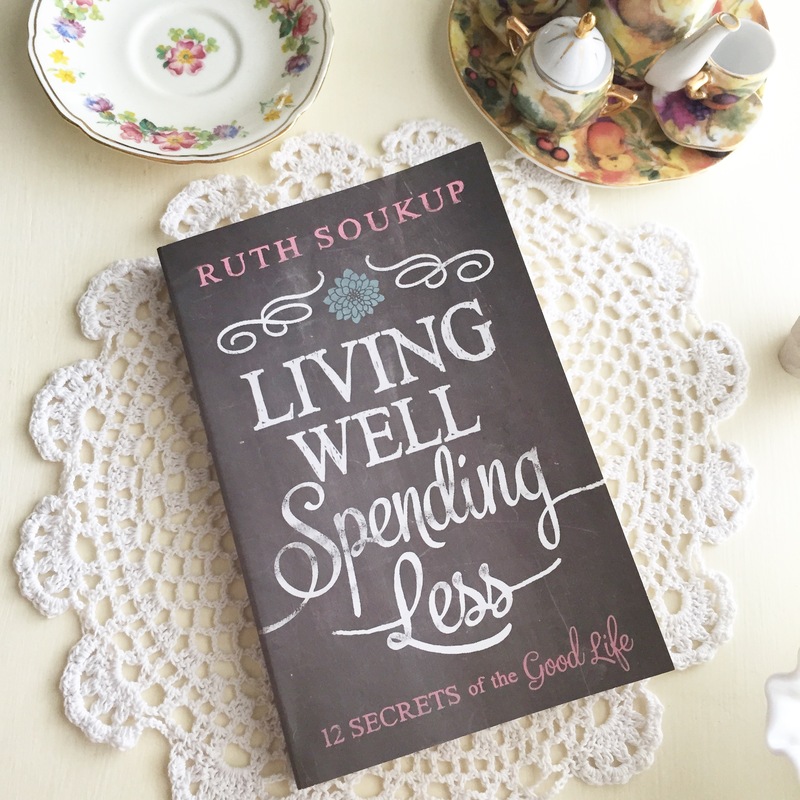 First off I love how Ruth Soukup was brutally honest with how she struggled with spending. I think we can all relate to her on some level and can really understand how life events can sometimes lead us down a path to financial misery. She explained things in a way that made me go “YESSS that’s exactly how I feel”. Another thing I love is that Ruth is a woman of faith and how she wasted no time in sprinkling in a few key bible scriptures that really called out to my heart and reminded me of how important it is to not focus so much on the material things but rather to store up our treasures in heaven. The scriptures says it clearly, for where your treasure is, there your heart will be also (Matthew 6:21 ESV). So in other words by placing all our attention on worldly things by storing up material treasures, we are excluding God from the picture instead of allowing our hearts to be one with Him. Really something to think about. Her book touches on having an attitude of gratitude. Funny because I would hear this often throughout my adult life. Be grateful … be happy with what you have….We often do forget to thank God for blessing us with so much. Instead we focus on the I wants and I needs by feeding our addiction to material things and our incessant need to constantly be the one with the cutest outfit or the most current phone. We seem to never get our fill, do we? I know I am guilty of this. 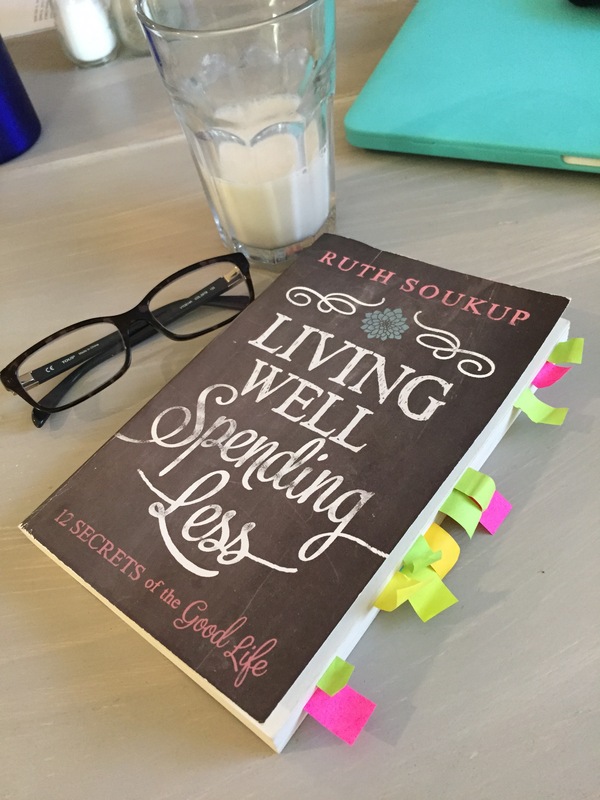 I also enjoyed the tips and advice that Ruth gave in her book. Some of it I was a no-brainer for me but was still refreshing to read. Eliminating temptation by unsubscribing to emails and catalogs. For me, receiving emails with great coupon deals from stores like Michael’s, Joann’s and Kohl’s is the absolute death of me. If you know me you’ll know that I love two things… crafts (i.e., yarn, stamps, paper) and purses. Hence, the reason why I love Kohl’s. I always get my purses from there. But I’m proud to say that I’ve developed some restraint over the last couple of months. 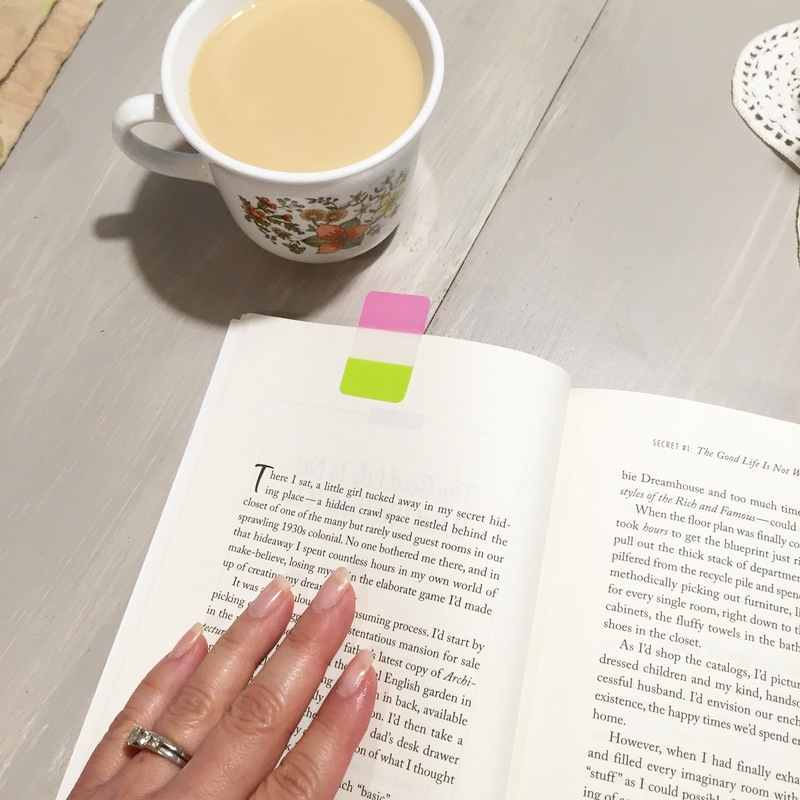 After reading the book The Life Changing Magic of Tidying Up (you can read my review on this book Here) I became more aware of the abundance of purses and craft supplies I had and realized I just didn’t need that much. I didn’t really use a lot of the purses I had because they were either too old or no longer my style so I purged and kept only the purses I did like. The same with all my yarn and papers and things. By doing this I was able to see for myself what exactly I have and realized that I didn’t need more stuff. Why buy more yarn when I have a sufficient amount in my storage basket in my room? By decluttering my home and purging stuff I have no use for, I have a much clearer picture of the things I have and feel less inclined to go out and spend money. Ruth goes into other important aspects of how to save money by explaining how to make use of coupons and by sharing recipes to make your own all purpose cleaner and laundry detergent using natural ingredients which I LOVE to do. She really hit it home for me when she talked about how the best things in life are free in the form of friendships, practicing hospitality and giving our time and talents. Imagine the perspective and appreciation we’d all have for each other if we would just slow down long enough to appreciate these wonderful treasures. I absolutely recommend this book to anyone who is trying to stay on budget and just looking for ways to cut back and spend less. If you read this book, please fell free to leave a comment below and let me know what you think. Happy Reading!!! !